Life-long love of reading starts at the earliest of ages. Photo: Mick. 1995. Perhaps it is my insatiable need for order and organisation, perhaps it is an occupational hazard of my year-long work with measurement of performance, and perhaps it is completely counterproductive that my new year’s resolution for 2015 is to read a book a week. My greatest enemy to establishing a successful writing practice is the allure of the internet. The time-wasting, the frantic social currency of scrolling, the keeping updated, the checking, the FOMO (fear of missing out) keeps me from spending my time on my writing practice. These distractions also prevent me from reading. To be a writer, you have to read. In short moments of peace, I have been reading Stephen King’s excellent ‘memoir of the craft’: On Writing (a departure gift from a dear – and clever – colleague of mine who shares my passion for writing). King’s advice to read, read and read is both valid and worthwhile. So I decided that I must do better than reading five or six books of fiction in a year: I want to put behind me one book each week in 2015. On the second day of 2015, I went to the book shop and bought a book. 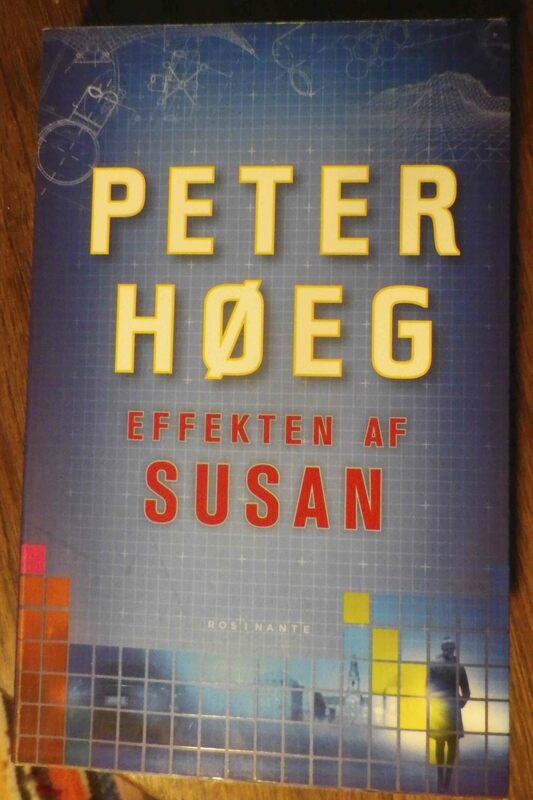 It was the first book I picked up, which happened to be Peter Høeg’s 2014 book, Effekten af Susan (The Susan Effect). Høeg rose to international fame with his 1992 novel, Frøken Smillas fornemmelse for sne (Miss Smilla’s Feeling for Snow), which I read – no, swallowed – in Danish and English at the time. It took me exactly one week to read this novel. It is a political conspiracy thriller set in a world vulnerable to climate catastrophes and chaos. The political ‘solution’ to this problem is elaborately plotted and jealously guarded by those in power. This creates a tension between them and the main character, Susan who keeps digging to join the dots. Peter Høeg: Effekten af Susan, 2014. Susan is 43 years old and a successful scientist with a dysfunctional upbringing and traumatic early experiences. She finds peace in the laws of physics and science in a chaotic and unpredictable world. Juxtaposed against Susan’s scientific world view is her inexplicable skill to make people open up and confess their inner-most secrets and feelings. This juxtaposition exposes the importance of human relations through the cracks of what is explicable through scientific inquiry. In three parts, Susan and her family slowly uncover what is going on. I enjoyed thoroughly reading Høeg’s exquisite writing and the elaborate plot development, even if the book felt some 100 pages too long. However, I found Susan barely believable and not particularly likable. Portrayed as a superwoman, her inner dialogue reveals the cost of her scientific worldview to her relationships. Early in the novel, her mentor says: Your problem is that you don’t really believe people like you. I found it hard to believe that anyone actually does like Susan. I do not particularly want to meet her or make her my friend: she seems to have her own agenda with everyone she meets – and vice versa. I also found the myriad of smaller characters underdeveloped and difficult to distinguish, even when they were important to the plot. Perhaps this is my weakness: I also struggle to follow spy movies because I cannot distinguish the characters in their black suits and shady agendas. It reveals something about me that the notes I have taken about the book are mainly about human relations, not the conspiracy. To me Høeg’s human insights are much more interesting and convincing than his climate catastrophe plot. Though well-developed in the thriller genre, the conspiracy seems merely the framework within which unquantifiable ‘truths’ about human relations are hung. 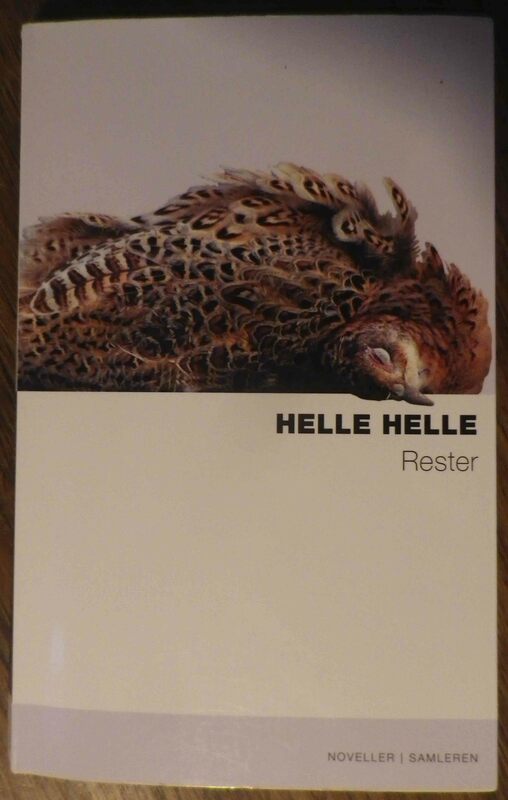 During the second week I read Danish author Helle Helle’s Rester – ‘leftovers’ (1996). Helle writes about not much: her stories are not action packed and what happens is limited to what passes between humans as the smooth surface of their relationships cracks in a confrontation where all that remains are leftovers. I enjoy Helle’s simple and direct writing. Rester is a book of very short situation stories – sometimes the book seems just like leftover ideas that have not fitted into longer works. Yet this book was Helle’s breakthrough work and perhaps it was more a taste of what was to come. Helle’s writing cleverly leaves me with a sense of recognition of the situation, the characters and the feelings. And discomfort with what is left behind. 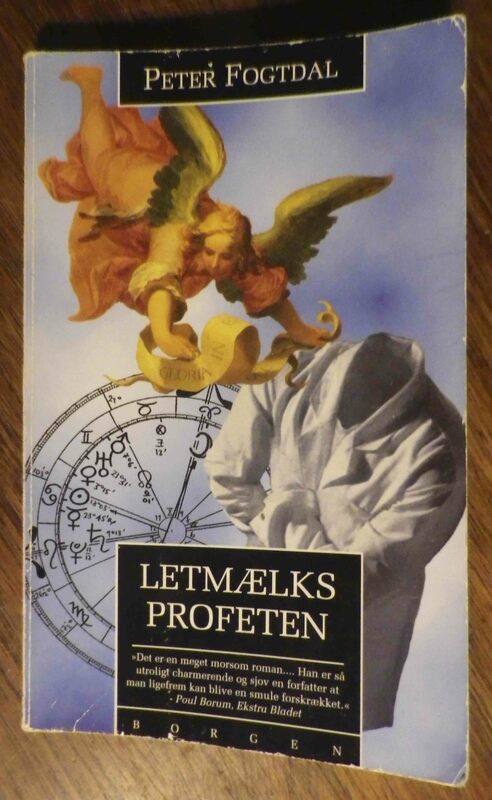 Then I read Peter Fogtdal’s breakthrough novel Letmælksprofeten (1991) – ‘the profet of trim milk’. It is a self-referential novel about the life of Gregers. Born in 1956 he grows up to be an actor and then an astrologer with broken relationships. Gregers rises to fame when foresees the fall of the Berlin Wall in 1989 and the demise of Ceaușescu in Romania in 1991. Set in Copenhagen and North Sealand, Fogtdal’s book appears to be a portrait of the times and describes a world of astrology, healing and mystique. And megalomania – Gregers gradually looses his grip and starts believing he is God. 1991 was the year I left Denmark for Australia and therefore my Danish experiences coincide with the era of this book. The new age world Fogtdal describes is not at all one I recognise from my formative years in Midtjylland during the 1970s and 80s. Apart from unquestioning belief in the Lutheran god, the local culture was to dismiss these new age trends as hocus pocus: we kept our feet firmly planted in the sandy soils that nurtured us. New age flight of fancy may be been everyday fare for cosmopolitan young people living in Copenhagen, but did not take root in the provinces or in the country. At the time, critics labelled the book as a farce. Read as such its lack of credibility may make much more sense. What books are you reading in 2015? This entry was posted in Reading, Writing and tagged Helle Helle, human relations, New year resolutions, Peter Fogtdal, Peter Høeg, reading, Stephen King on January 16, 2015 by lonebonekaffekone.